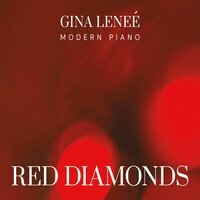 Red Diamonds is Gina Lenee’s 7th studio album. Red Diamonds was produced by Will Ackerman and Tom Eaton and engineered, mixed and mastered by Tom Eaton. 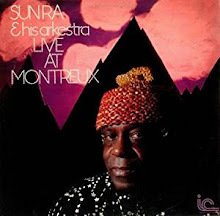 Featured guest artists appearing on the album are Charlie Bisharat (violin), Eugene Friesen (cello), Jill Haley (English horn), Jeff Haynes (percussion), Jeff Oster (flugelhorn), Marc Shulman (electric guitar), Premik Russell Tubbs (EWI and sax), Tom Eaton (fretless bass, guitar, vocals) Will Ackerman (acoustic guitar and vocals) and Noah Wilding (vocals). The status quo for Imaginary Road Studio is to bring in the best group of musicians to help each artist create their own musical masterpiece. This was no exception to the rule as superb musicians gathered to create Red Diamonds. The collaborative effort brings out the best in everyone. The goal and result is always the same, to create music with a purpose and vision. I think this was accomplished successfully and the passion and storytelling in the ivory keys comes flowing through Gina’s soul. The entire album sounds like an invitation to a romantic getaway. And whatever you consider romantic becomes real while listening to these tracks. The English horn, violin, cello, sax and flugelhorn lay down a bed of textures and colors that Gina takes full advantage of. Some of the subtle vocals added were a real nice touch on tracks like “The Moment” and “River.” The angelic and trance like female vocal persuasions are just right, like the proverbial icing on the cake as it were. Listening to Red Diamonds was like free form artistic expressionism in motion. The canvas in this instance is you, the listener. As Gina paints the music with broad strokes, it eases you into your own comfy chair that lives inside your mind and soul. This is not a physical object; this is something that is esoteric. I have always felt the need to express the spiritual power that music possesses and ultimately that energy translates to a healing for this listener. If you have not found that place yet I would advise listening to this music and use it as a guide to get there.